This is a two-day course that provides in-depth skills necessary to plan, design and facilitate meetings in an Agile environment, using the tools and techniques of professional facilitators. Upon completion of the course, you will be able to define and embody the “facilitator stance” and access behaviors consistent with the key mindset shifts that accompany the role of facilitator as a servant leader. The skills presented in this course will enable you to facilitate meetings in a variety of contexts and for teams at different levels of team maturity. This course is intended for those who have a basic level of understanding of Agile and have ideally worked in an Agile development environment. 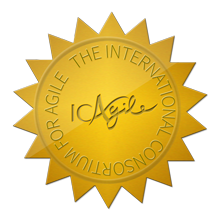 The course is particularly useful for Project Managers, ScrumMasters, Agile Coaches and aspiring coaches, Product Owners, Product/Value Managers, analysts, and anyone with the desire to explore the power of facilitation within an Agile context. Gain in-depth practical knowledge and techniques of experienced facilitators and understand facilitation as a stepping stone to coaching. Understand how to design and facilitate team meetings in a way that addresses the maturity level of the team and that enhances collaboration. Learn the essentials of Agile project and team chartering and facilitate a working session on this topic. Learn alternative methods and when to apply for facilitating release planning and iteration planning meetings. Learn and use different facilitation techniques for keeping the stand-up meeting engaging, useful and focused. Learn how to plan, design and facilitate retrospectives that create a safe environment for sharing, promote open dialogue, and generate substantive constructive feedback.